The queen of cute’s offline lovefest! Love is everywhere – not just inside your computer. Now you can enter Amy’s Land of Love without even tapping a key. 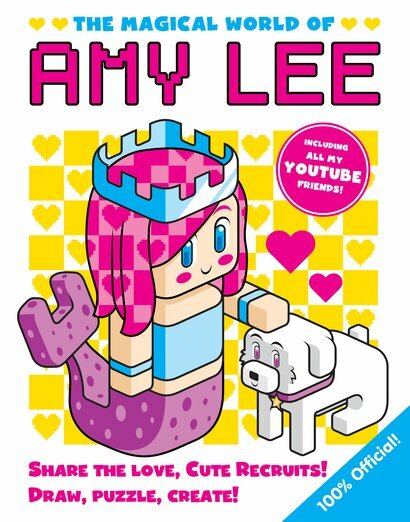 Her gorgeous new book is simply bursting with facts, puzzles, crafting, games, quizzes and lovehearts for all you lucky cute recruits. (Plus, it’s super-pretty to look at.) Can you decode a secret fairy note, stop Mittens causing chaos – and escape from that pesky witch? All the best bits from Amy’s Land of Love – in a book!